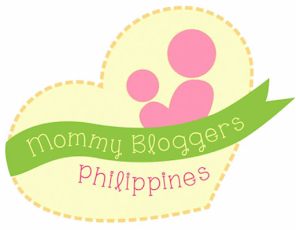 I finally got the chance to participate in one of the Mommy Bloggers Philippines' invite. This one's from Perps MedSpa where mommy bloggers were given a day of pampering to try their facial, body massage and ultra lipo. 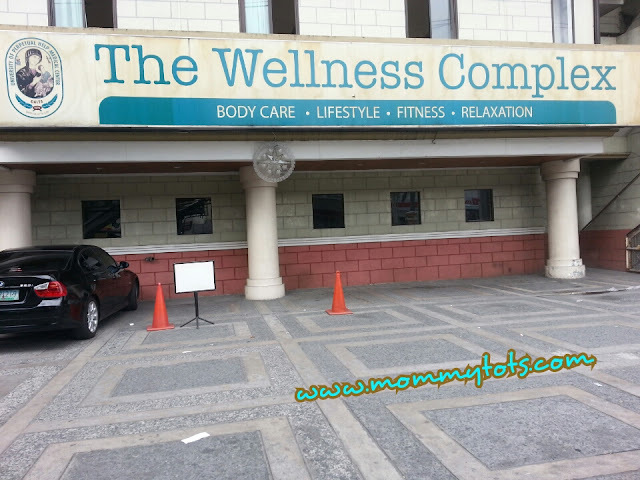 The Wellness Complex wasn't hard to find as it was located along the road within the same compound of Medical Center. Or maybe I was too familiar with the place that I know exactly where to spot the Spa? It was a bit nostalgic as I crossed the Times Street in Las Piñas, UPHD was my dear alma mater where I finished my 4-year degree, 12 years ago. Anyways, it felt good to look back and remember all those happy and challenging times during our 'College Years', and seeing Dr. ALTA's (Founder & CEO) photo on the wall made me realized how time really flies soooo fast. The last time I personally saw him is when we graduated waaay back, year 2003! And the last time I went here at Las Piñas is when I processed my diploma and TOR to be redribboned. As I went inside, a relaxing aroma scent welcomes me. One thing I like most about Spas, is that they can easily provide relaxation and uplift your mood. I was asked to fill-out a form for my personal details and medical history before proceeding to my facial and ultralipo treatment. Good thing my scheduled visit falls on holiday (Nov.30), so I never experienced heavy traffic going there. 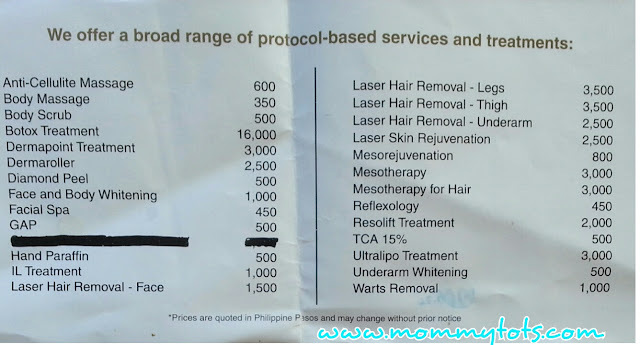 I suggest you visit Perps MedSpa on a holiday or sunday when the traffic is light. When going to Spas, I really have this "being at the moment" drama... so I don't really take that much photos or selfies (arte noh?). It was my sanctuary of relaxation, so I savour every moment of total peace for body and mind. My Facial and ultralipo was done by Ms. Bianca, a registered nurse. I have to say that the facial massage was good, compared to other Spas I've been to. The smooth and circular strokes made me want to try their full body massage to be done by a therapist. During Facial, I asked Ms. Bianca to adjust the steam for I am wearing my contact lenses, the steam was continuously used while she perform the cleansing steps. I was told 'na hindi daw mahihirapan ang magpi- facial sa akin' because I don't have acne-prone skin. Actually, I seldom opt for a facial treatment, feeling ko kasi mag oopen lang ang skin pores, and I don't really need it, not unless I have visible and deep blackheads that I can't handle. I asked what's the difference between Mesotherapy and Ultralipo, she answered that Mesotherapy treats unwanted fats thru medicine injection on targeted areas, thus brings instant and visible results. And they packaged the two treatments to make it more effective. The Price? it's PhP15,000 for 5-visit Meso plus 5-visit Ultralipo. But still, treatments alone cannot suffice your goal to have that 'beach bod' you still have to maintain proper diet and exercise. As we nearly finish the 15-minute Ultralipo, I felt like rushing to the toilet to pee! As it expected to excrete the broken down fats through urine and feces. But then I managed to wait until we finished our facial with vacuum suction to close the pores and rinse off. Bianca reminded me NOT to have cold drinks all through out the day and NOT to do workout or hard exercises. After Facial and Ultralipo, I am ready to get my full-body massage. Ms. Victoria toured me at the Spa, and show me the single and couple rooms for body massage service. I love the privacy and relaxing ambiance, there's even a room with shower and sauna. I wasn't able to see all of the eight massage rooms, but seeing some of it makes me instantly want an hour of massage. 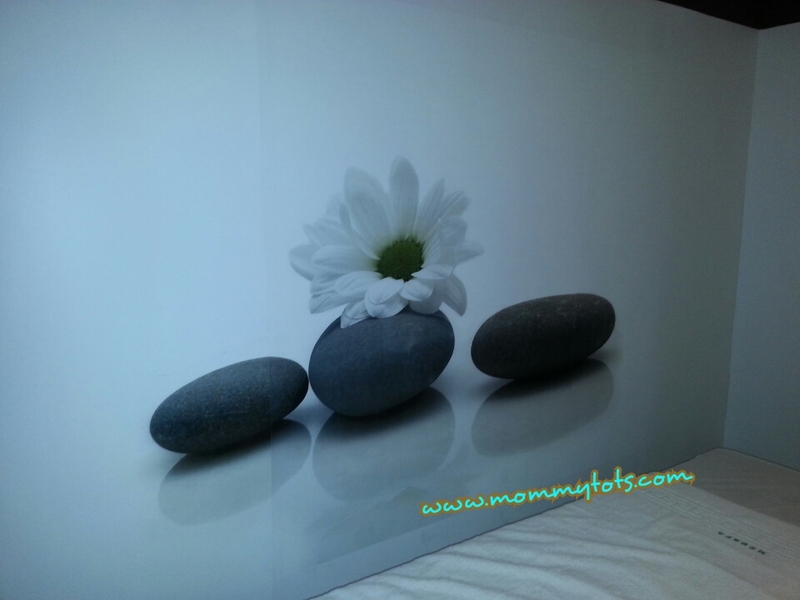 And hey, I can even try their body scrub for a complete relaxation and beauty treat! 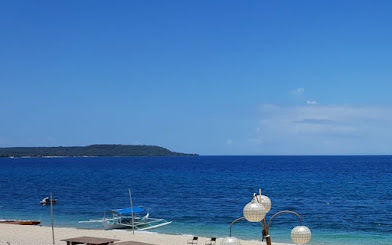 After seeing the couple rooms, I changed my mind not to avail the full body massage at that time, but chose to tag along the husband on my next visit. Ms. Victoria discussed all the services they offer. They have affordable rates and you can take advantage of their packages to get free or additional services. Their services are transferable and doesn't expire. So, if you bought package services, you can avail it at your most convenient time. No worries even if it takes you years to have time to visit them again. I personally suggest that they should came up with membership card to provide discounts for their loyal customers. She explained that their marketing dept. were already taking care of this matter. 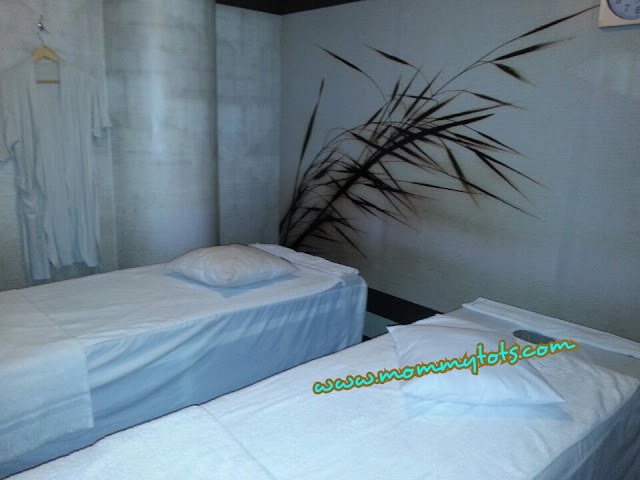 If you are interested to try their services, prior booking is required, you may call at 874-8515 loc 449 to 450. 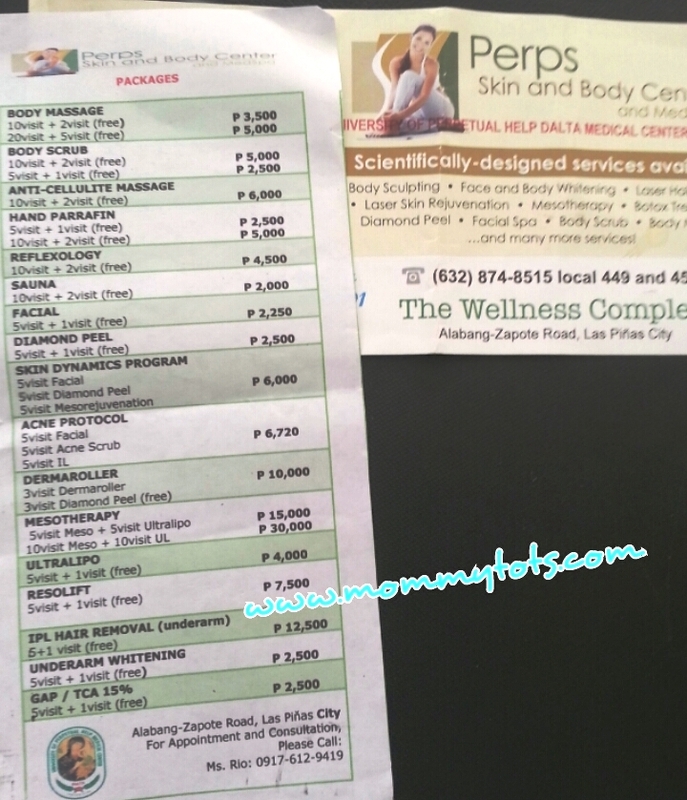 Perps MedSpa is located at The Wellness Complex, University of Perpetual Help Dalta, Alabang - Zapote Rd. Las Piñas City. Special Thanks to Perps Skin and Body Center & MedSpa and to Mommy Bloggers PH for an afternoon of my well-deserved Beauty Treat! 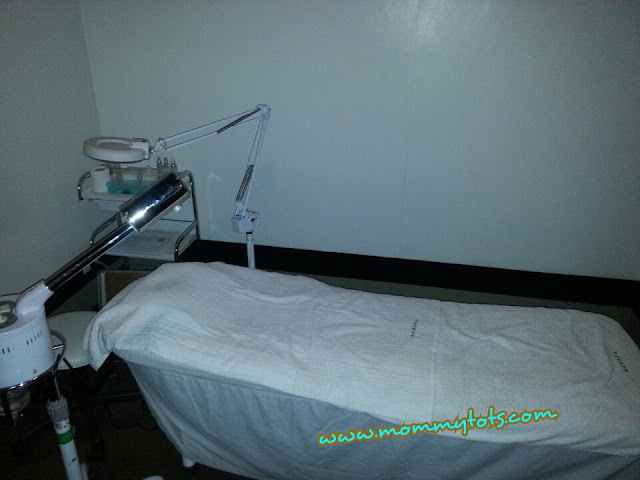 I'm looking forward to our next visit for that full body massage, for my IPL, another ultralipo, body scrub... etc. haha! (I wished!). When depressed and needed to relax, I found myself having my "me-time" at spas, salon or skin centres for a guilt-free relaxation and skin rejuvenation, bawal ma-losyang! agree?. Well, yeah... bawal talaga ma-losyang. Atleast remind ourselves that we deserve to be pampered once in a while. 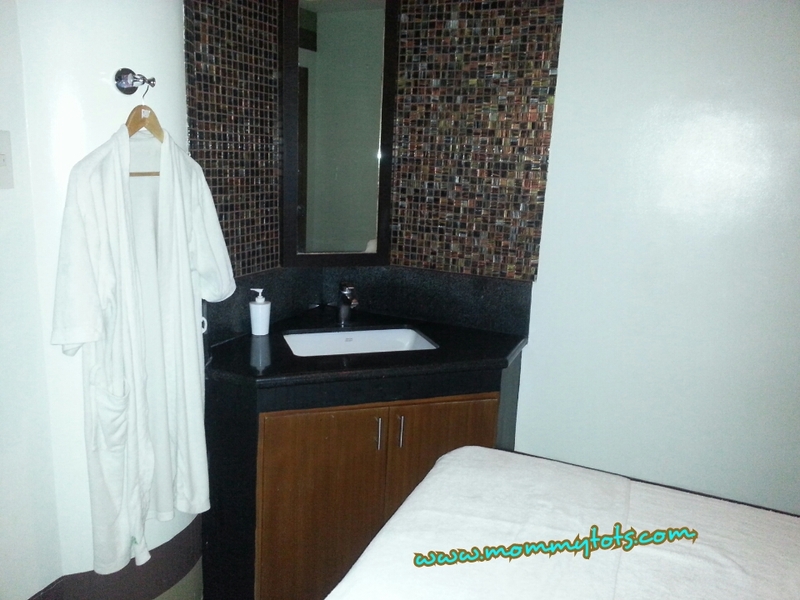 Oo,anti-stress... kapag exhausted ako I chose to have a quiet time at spa to relaxed. I'm not sure if they also have one in Laguna. If ever, mas prefer ko to go there to avoid traffic in LP. Medyo gusto kong pag ipunan ang lipo...haha chos! Ang hirap kasi mag sit-ups. Ang galing, daming opportunity invites here sa MBP hehehe, last month we're invited also kaso sa Bulacan sayang. Congrats mommy very relaxing ba/Inggit naman ako. hahaha! Yep! I hope to meet you in one of their events. I always have a relaxing massage when I feel like having one, I don't work pero sakit sa likod magkarga ng malusog na baby no, haha. And I have never taken a selfie when I'm in a Spa, lol. Okay naman yung Ultralipo? Parang gusto ko sa thighs ko, hindi na lumiit simula nanganak ako, haha. Sabi ni hubby maganda nga raw eh kaso hirap magsuot ng jeans, hirap makarating sa waist, haha. I didn't know it would be so meticulous! I've never undergone a facial before so this is new to make. Their body massage is pretty cheap. I would have loved to get some treatment myself! this looks like a good place to have a much-needed pampering treat, which I would love to have now!